LOVE CONQUERS ALL (AUS) (Bay 2006-Stud 2012). 8 wins to 1400m, ATC Shorts H., Gr.2. Sire of 152 rnrs, 84 wnrs, inc. SW Savanna Amour (MRC Angus Armanasco S., Gr.2), I'm a Rippa, SP Perilous Love, Conquering Lass, Par Oneri and of Conquermore, Defence Missile, Boom Shucka, Love Spy, We Just Love It, Pure Pulse, Crystal Amor, Keep Your Roses, King Ragnar, Love and Rock It, Toujours l'Amour, Was it Worth It, Beau Arrow, Conquers All, Downloading, etc. Scotch Rocks (f. by Torrential). 5 wins-1 at 2-to 1350m, 2d BTC Northern City Finance H.
Shamtilly Lace (f. by Shamardal). 2 wins at 1000m, 1200m, 2d BRC Kirks H.
Prince Havoc (g. by Springsteen). 3 wins at 1000m, 1100m in Aust. Vinnies Joy (f. by Springsteen). 2 wins-1 at 2-at 800m, 1000m in Aust. Massabielle (f. by Love Conquers All). Winner. See below. Atomic Jack (g. by Anglia). Winner at 1000m in Aust. Our Momento (f. by Show a Heart). Placed in 2017-18 in Aust. Nice Touch. 6 wins to 1400m in Aust. Producer. Silken Knot (Nonoalco). Winner at 2, Ascot Virginia Water S., 2d Doncaster May Hill S., L, 3d Ascot Waterford Candelabra S., L.Died at 3. Silko (Nonoalco). Placed. See above. PAINTER'S ROW (Royal Academy). 3 wins-2 at 2-at 7f, 1m, Newmarket Craven S., Gr.3, Newbury Horris Hill S., Gr.3. Peak Path (Polish Precedent). 3 wins from 2000m to 2600m in GB and Sweden, 2d Taby Kapplopnings Sallskapets Stora Pris, L, 4th York Great Voltigeur S., Gr.2. Road to Reason (Known Fact). Winner at 2, Goodwood Selsey S., 3d Chester Dee S., L, 4th Newmarket Feilden S., L.
FAIRY PATH (Irish River). 2 wins-1 at 2-at 1400m, 1600m, Deauville Prix du Calvados, Gr.3, Saint-Cloud Prix Amandine, L.
NEO UNIVERSE (Sunday Silence). Champion 3YO Colt in Japan in 2003. 7 wins-1 at 2-from 1400m to 2400m, 613,376,000¥, Kyoto Kisaragi Sho, L, Hanshin Sankei Osaka Hai, L, Nakayama Fuji TV Sho Spring S., L, Tokyo Yushun, L, Satsuki Sho, L, Kyoto Shiraume Sho, 3d Kyoto Kikuka Sho, L, Hanshin Kobe Shimbun Hai, L, Chukyo Nisai S., 4th Japan Cup, Gr.1, Hanshin Takarazuka Kinen, Gr.1. Sire. Chokai Ryoga (Sunday Silence). 4 wins-1 at 2-at 1800m, 2000m, 105,594,000¥, Tokyo May S., Isawa Tokubetsu, 2d Nakayama Keisei Hai, L, Tokyo Principal S., Hatsuhinode Sho, 3d Niigata Amanogawa S., Nihonkai S., Tokyo Chichibu Tokubetsu, 4th Niigata Kinen, L. Sire. Agnes Planet (Sunday Silence). 3 wins from 1800m to 2400m, 97,367,000¥, Kyoto Yase Tokubetsu, Hanshin Azarea Sho, 2d Hanshin Osaka-Hamburg Cup, L, Midosuji S., Kyoto Takao Tokubetsu, 3d Tokyo Komakusa Sho, Kyoto Shorai S., 4th Kyoto Nikkei Shinshun Hai, L. Sire. Pleaselookatmenow (Irish River). Winner at 1600m, 3d Evry Prix Isola Bella, L. Producer. SEDICIOSA (Rail Link). 3 wins at 2000m, 2400m, €125,700, Chantilly Prix de Royaumont, Gr.3, Saint-Cloud Prix Astronomie, Prix Dushka, 2d Longchamp Prix du Conseil de Paris, Gr.2, Prix de la Seine, L, 4th Saint-Cloud Prix Corrida, Gr.2, Chantilly Prix Allez France, Gr.3. Producer. DUBIOUS (Not a Single Doubt). 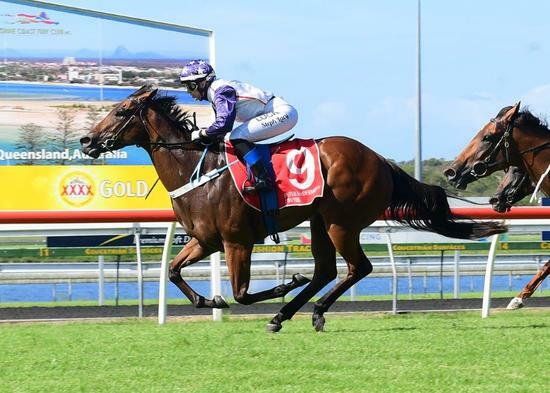 2 wins at 2, A$496,700, in 2018-19, ATC Breeders' P., Gr.3, BRC Basil Nolan Jr 2YO H., 2d GCTC Magic Millions 2YO Classic, RL.